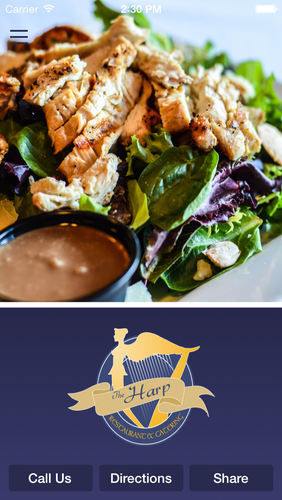 Included in this app is everything you need to know about the Harp Restaurant! Check out our specials, browse the menu and reserve a seat, all before you even arrive! 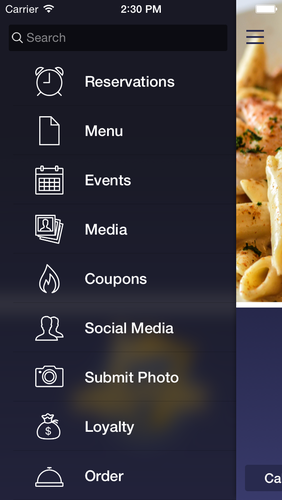 • Coupons: Get our latest deal exclusively for our mobile fans. No print outs necessary – Just show the coupon on your phone to your server and enjoy. • Push Notifications: Sign up for push notifications and be first in line to hear about a marvelous offer or a special event at the Harp. 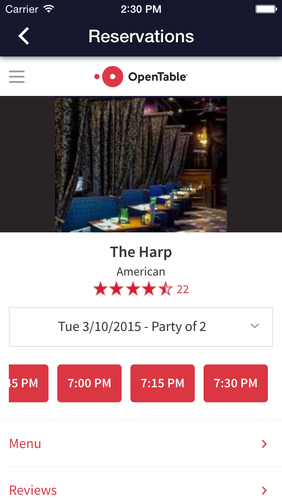 • Event Calendar: Stay on top of the latest happenings at the Harp! Find out what night your favorite DJ will be rocking out the evening! Local bands, karaoke, fun contests and other events will be on the schedule.